Chinese Fortune Coin Personalized Luggage Bag Tag. 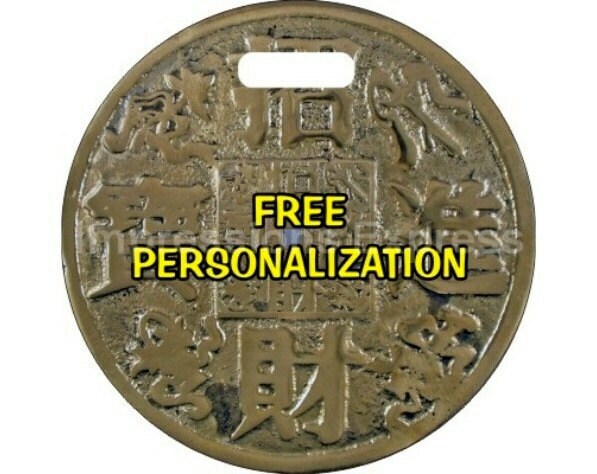 A personalized double sided chinese fortune coin on a round luggage bag tag. The image on this luggage bag tag is a high resolution photo of a chinese fortune coin. On this tag are the chinese characters "Mm Fook Lam Moon" which literary means five blessings from heaven: health, longevity, love, wealth and a natural death at a ripe age.